What started in the year 1989 as a Tent and Decorators company in Delhi, has transpired today to become an all exclusive and holistic event management firm, specializing in weddings and all types of wedding related activities that caters to the client’s requirement and expectations. ‘Marriages are made in heaven’, but we manage it on earth, by making this special day of your life an unforgettable experience to be cherished for the rest of your life. Our intention is not to take over, but to work with you and ensure your dream vision become alive. 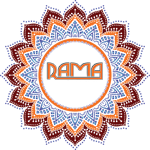 At Rama events, we update and familiarize you with the latest trends in the wedding industry provided by our experts, who have years of experience in this industry. We have a fully developed and functional in- house production facility in Noida as well as Delhi. Our panel of skilled craftsmen and band of highly qualified designers, fabricators add the extra edge to our platter of deliverables with our customized concepts, full visibility and impact for the client. The company services ranges from Weddings, Corporate Events, Private Parties, Theme-Based Parties, Religious Ceremonies, Road Shows, Award Functions which begins right from the conceptualization of the event to its creation and final execution.